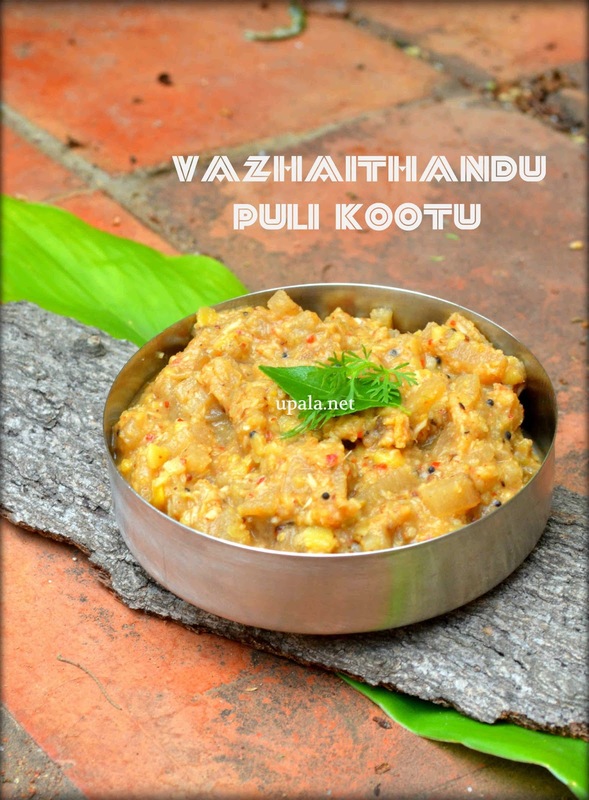 Vazhaithandu Puli kootu is a tasty and healthy kootu prepared with Fibre rich Plantain Stem. 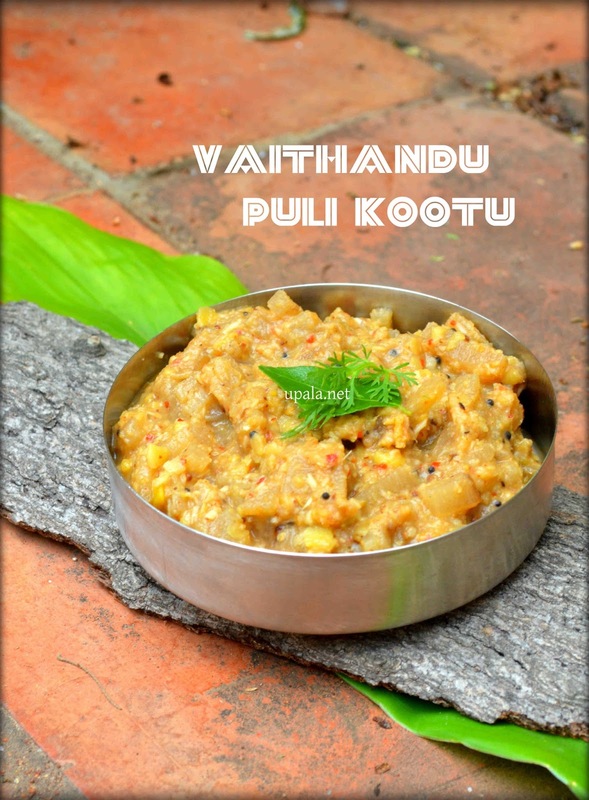 I have used Multi purpose Curry powder in this kootu. This Curry powder is ground of dry roasted Ingredients and stored in airtight container in bulk quantity. It stays fresh for more than 2 months. If you don't have this Curry powder, you can grind in small quantity only for this kootu. For Curry powder recipe click here. 1) Pressure cook toor dal and keep aside. Soak tamarind in warm water, after half an hour extract juice and discard the pulp. 2) Remove the outer layer of Banana stem and scrap the next layer to get the inner most layer. Slice the stem into small pieces and put them in butter milk. 3) Heat oil in a kadai and add Mustard seeds to crackle then add Hing, Curry leaves and fry. Drain few buttermilk from Banana stem and add to kadai (with rest of the buttermilk) and close it with a lid to cook. 4) After it is cooked, add Salt, Cooked Toor dal, Tamarind juice and leave it to boil for few minutes. 5) Meantime dry grind grated Coconut, Curry powder, Jaggery and Green chilli to coarse mixture. 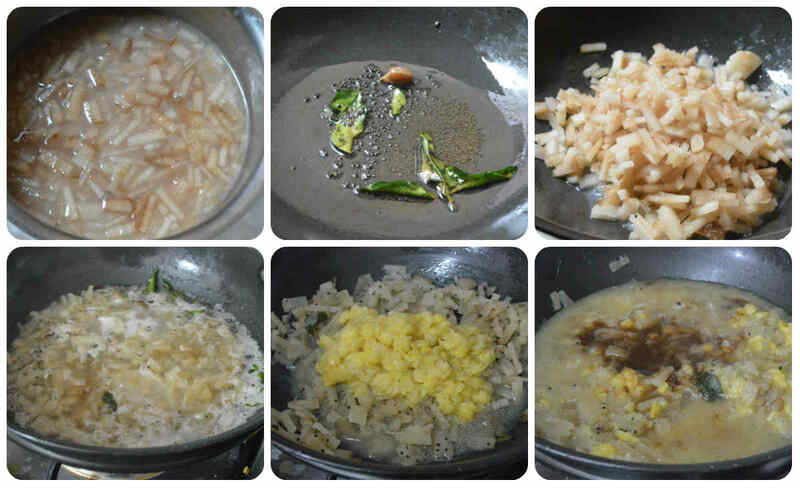 6) Add this ground mixture to Vazhaithandu, leave it to get cooked for 2 mins and switch off the flame.